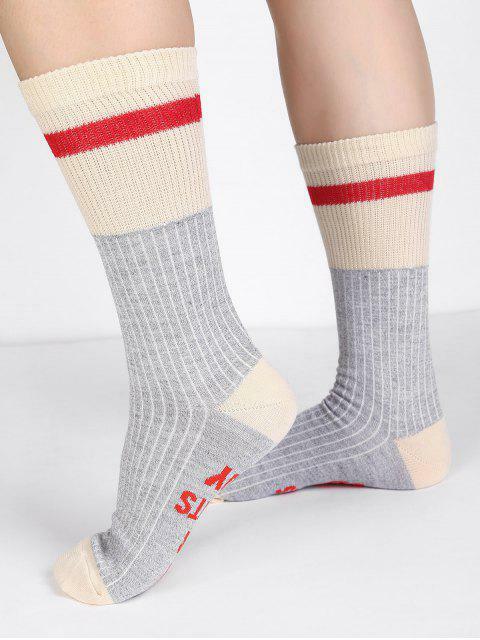 [21% OFF] 2019 Wool Christmas Letter Cotton Mid Calf Socks In GRAY | ZAFUL .. Availability: In Stock Hurry! Only 17 left! We've handpicked these coupons for you. Claim them and shop now! There's a $20 coupon just for you. Register to claim. Valid for 72 HOURS ONLY. Coupon has been successfully sent to your account. You can find it in – Coupons&Points. You have unpaid item(s) in your cart. If you change your country then the items' info (such as prices, promotions) might change. You can either pay for these items first or add them back into your cart after updating your country. Gift added to your shopping bag! Invite your friends in 72h and get the item for free. Please check in My Share. YOU'VE GOT $50 TO SHOP! Hey, I bring a surprising gift for you from ZAFUL. ZAFUL offers a gorgeous selection of affordable and unique clothing,shoes, bags, beauty and accessories.